Connecting a square clubface with the golf ball at impact acts as the desired end result of the textbook proper golf setup, but still many beginners have trouble achieving these results on a consistent basis. Mastering the art of producing a consistently square clubface will allow optimal ball control, while reducing pulled shots in the process. Many golfers benefit from visualizing their clubface in a common palm down exercise that several instructors implement in the golf tips suggested to their juniors. In order to perform the palm drill, golfers must address a ball on a tee while taking their standard grip on their golf club. Next players must open their right hand and rest it along the shaft of their club, with the palm facing their target and fingers pointed downward. Once taking the club back, keep your palm in the same position against the shaft. Allowing our clubface to rotate in a natural motion, our palm will then move beneath the shaft as our club swings to the top. When traveling downward, you’ll notice your palm rotating back to impact slowly, taking the same positioning that it occupied during the address of the golf swing. Remembering that our right palm mirrors the angle taken by our clubface, squaring up our hand will mean that the clubface also has been squared to our target. Trainers and coaches recommend that their golfers practice this drill several times, maintaining a visual on their right palm as they work through the exercise. 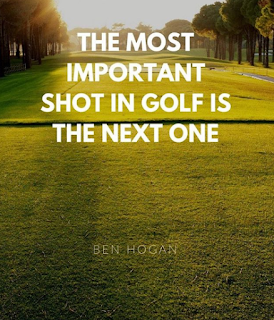 Yes, there are many legendary golfers that do not square the face of their golf club at the top of their backswing.